After graduating, Jonathan passed the NY state Board exam, as well as his National Board Exam. Shortly after he decided to take a risk and move from his hometown in upstate New York, to a city with more opportunities in his field. He moved to Boston in 2015, transferred his license and began working with a Chiropractor. There he worked with patients suffering from pain stemming from their activities at work and other common injuries. This also gave him the opportunity to work with patients suffering severe injuries stemming from car accidents. 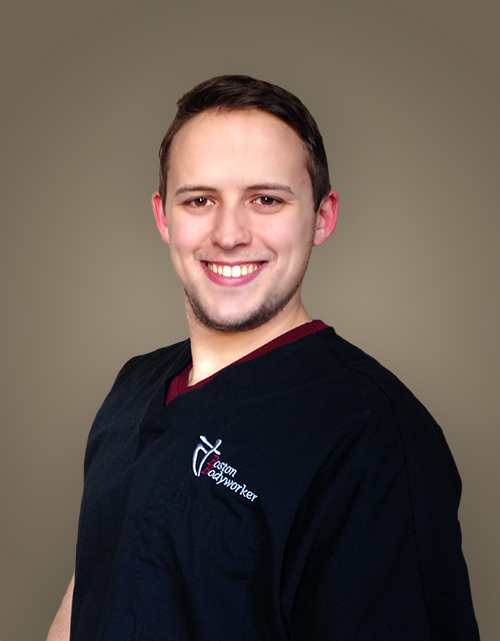 After two years gaining experience in a clinical environment, Jonathan has joined the Boston Bodyworker team in order to expand and evolve as a Therapist.